The check engine light is one of the most dreaded and misunderstood lights on your dashboard. It can come on for a variety of reasons, ranging from minor corrections to major engine problems. This little light is part of your vehicle’s onboard diagnostic system (OBD) to tell owners that something in the car’s system isn’t working correctly. The engine service light is a way of your car telling you that there is something off in your car, and may not necessarily mean that your engine needs to be replaced. 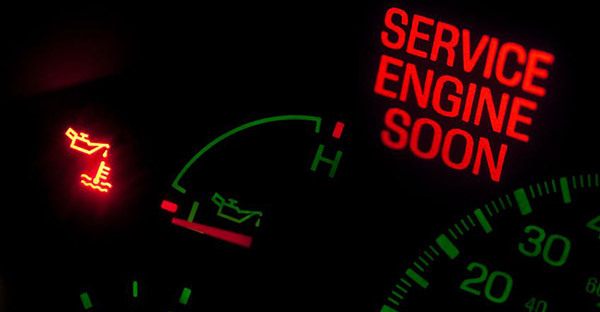 That being said we want to emphasize that if your check engine light is blinking, you see smoke coming from your hood, hear loud noises, or your engine stalling out you need to get your car to a local mechanic (link) as soon as possible.